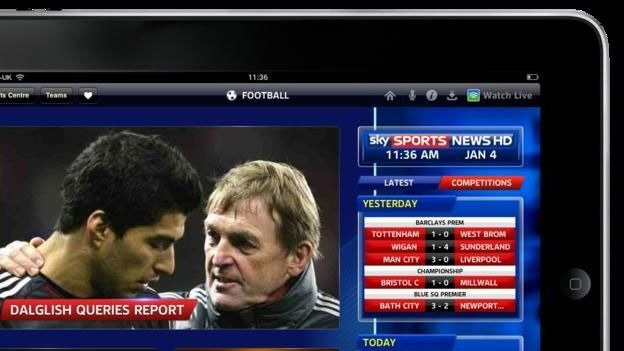 Ahead of tonight's Apple iPad 3 come iPad HD release announcement, broadcasting giant Sky has suggested it is working to prepare its applications for the expected introduction of a high-definition Retina display. One of the most hotly anticipated introductions lined up for the third-generation Apple tablet, the iPhone 4S eclipsing Full HD display is to offer the possibility of 1080p content playback with Sky confirming that if introduced, it will look to upscale its app output to make us of the HD potential. Whilst the inclusion of a HD Retina display will improve content output, Gibbs has suggested the availability of 1080p streaming will not detract from the company's intentions of the F1 iPad coverage being a complementary service. What would you like to see Apple include within its third generation tablet device? Let us know via the T3 Twitter and Facebook feeds.